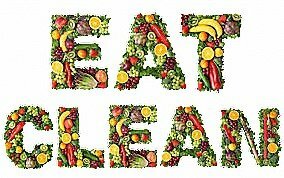 Eighteen of our members aged from 30 – 72 years recently embarked upon our new 7 day ‘clean eating’ trial. every single person losing weight with a group weight loss of 67lbs (or 4 stones 11lbs if you prefer!). With the help of our 24/7 secret Facebook support group, clean recipe ideas involving NO CALORIE COUNTING, a weekly meal and exercise planner plus daily 10 minute exercise videos, the group tried their best to eliminate sugar, caffeine, alcohol, dairy, wheat, gluten, artificial sweeteners, additives and preservatives and anything processed. Did you know that the body stores toxins in your fat cells? Remove toxins and eat clean and you will lose weight! 100% of the trialists lost weight varying from 1.6lbs to 7.6lbs in 7 days! 100% of trialists would recommend Clean Eating to others. “Eating new foods and trying new flavour combinations plus getting inspiration from other people was the biggest thing for me. The support programme helped enormously”. “I enjoyed everything – especially the variety that I started to cook with”. so will be working with you, coaching & supporting you every step of the way. Are you ready to get some fab results? Are you ready for a full 14 day detox? Are you ready to lose the bloated feeling? Let’s do this and start now! Are you prepared to give the detox your all for the 14 days and witness amazing results? 10 minute Home WORKOUTS suitable for all levels. When you sign up you will gain immediate access to a private facebook group where you can interact with me through the day. You can weigh in with me at any of our local weekly classes or weigh yourself at home or Boots Chemist if you can’t get to a class. I provide you with all the support, information and coaching. 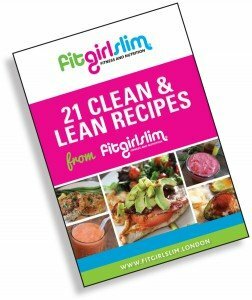 I post meal ideas, recipes, shopping lists, plus daily home workouts that are totally suitable for beginners. You wont need any special equipment or lots of room. 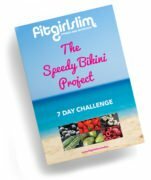 You will also get daily motivation and tons of information on exactly how FGS Clean Eating works and in 14 days you will see amazing results. Can you give this everything for 14 days?